A few days ago, I mentioned I was testing a pattern for one of my favorite Crochet Websites… Felted Button. 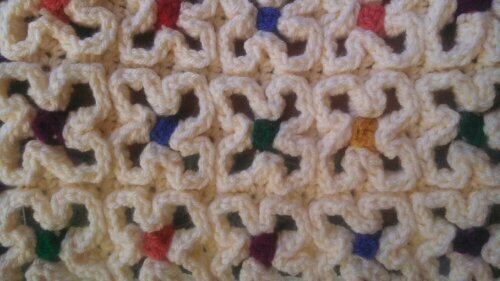 The pattern is called Crazy Good Mat! It is a super cute project and I was so excited to work on this mat! 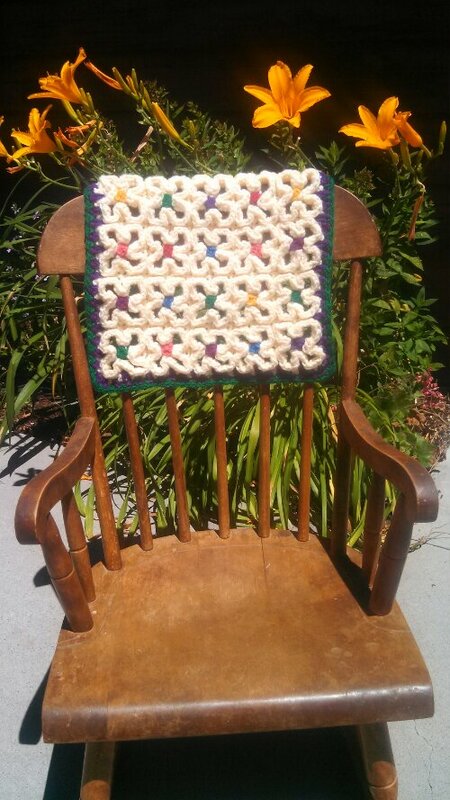 I made a smaller version of the original pattern… The original pattern will be the size of an average mat… The one I made is 12″ x 12″… I am going to use it for a seat cover for my antique children’s rocking chair… My Grand Children will love it! 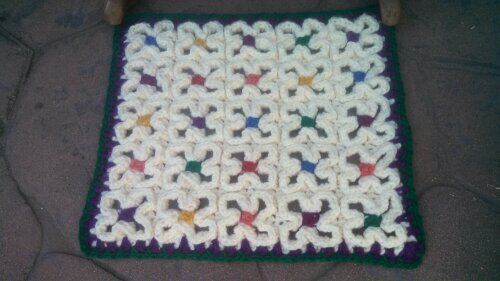 Here are a few photos of the finished test project… I will definitely be making a full size mat soon! Make sure to watch her website for the release of the pattern! Crazy Good Mat and Antique Children’s Rocker! So here is to Pattern Testing,,,Cute Mat’s and The Felted Button! Don’t forget to find me on Facebook and Etsy… You can find the buttons on the sidebar! Very well done, Elena! Thanks a bundle for your help with this one! You are AWESOME! My pleasure! You have great designs! Let me know when you release the pattern and I will post it here!